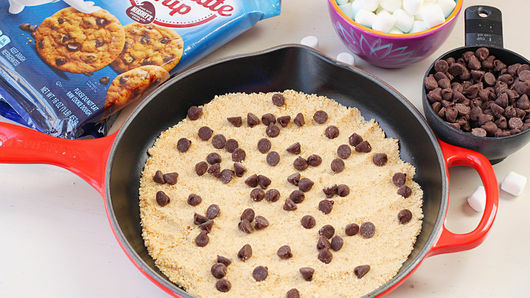 Sprinkle 3/4 cup graham cracker crumbs in bottom of ungreased 9-inch cast-iron or ovenproof skillet. Scatter about 2 tablespoons of the 1 cup semisweet chocolate chips over cracker crumbs. With fingers, crumble 1 package Pillsbury™ Ready To Bake!™ refrigerated chocolate chip cookies with Hershey's® chocolate chips into skillet. Scatter about 1/3 cup of the remaining chocolate chips over first layer of cookie dough. Crumble second package of Pillsbury™ Ready To Bake!™ refrigerated chocolate chip cookies with Hershey's® chocolate chips over top. 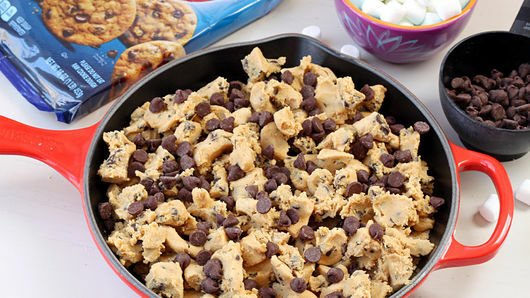 Finish with another 1/3 cup chocolate chips. Bake 1 hour. Remove skillet from oven. Set oven control to broil. 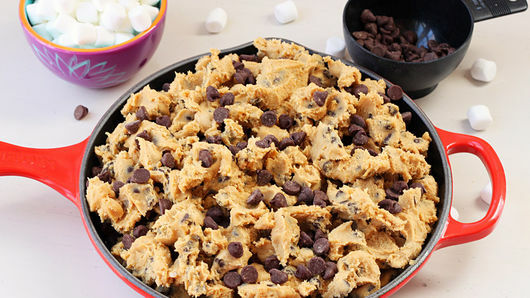 Sprinkle 3/4 cup miniature marshmallows and remaining chocolate chips over top of hot cookie. Place skillet under broiler; broil until marshmallows are puffed and slightly golden. Cool slightly, about 5 to 10 minutes, before serving warm. 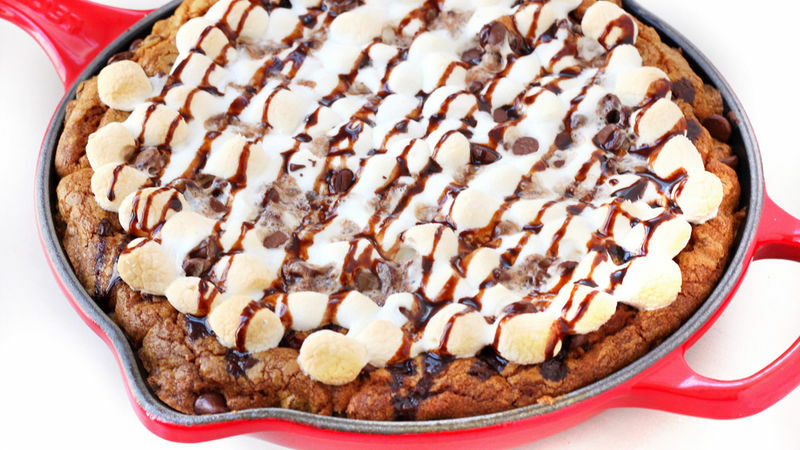 For a richer version of this deep-dish cookie, you can use 2 packages of Pillsbury™ Ready To Bake!™ Big Deluxe Limited Edition refrigerated Hershey's® hot fudge brownie cookies instead. 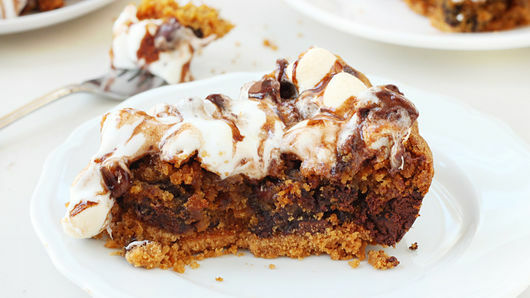 These packages are smaller, so bake for only 45 to 50 minutes before topping with the marshmallows. If your oven does not come with a broiler, you can continue to bake the cookie in the preheated 350°F oven for 5 to 7 minutes longer.